Credit Union of Vermont membership is open to federal, state, school, municipal, and county employees anywhere in Vermont. Retirees, annuitants and all family members are also welcome. If you’re not sure if you qualify, contact us or get more information. 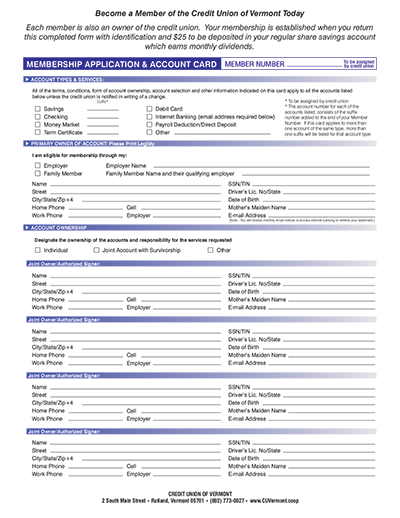 Fill-out the form on your computer and print or print and fill it out by hand. Bring the completed and signed form to the credit union along with your driver’s license.